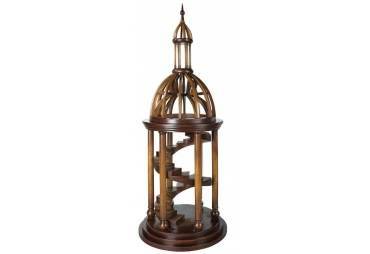 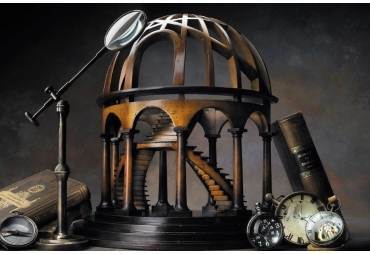 This Lighthouse Steps architectural 3D model is handcrafted of solid cherry and birch wood. 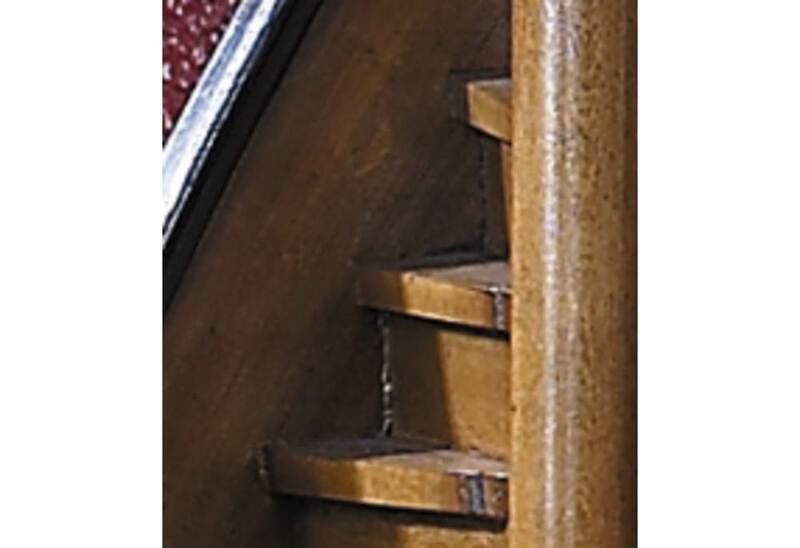 Some of the finer details have been hand carved. The stairs French finish has been lightly distressed and finished in subtle shades of light and dark honey. 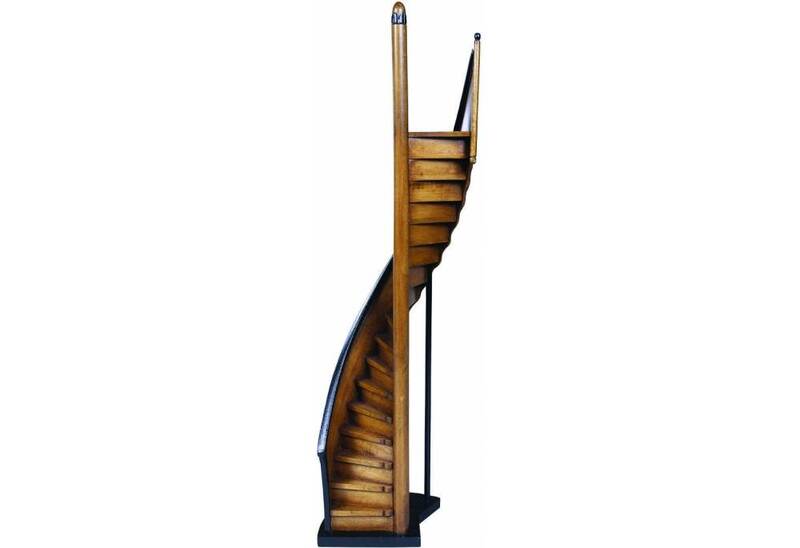 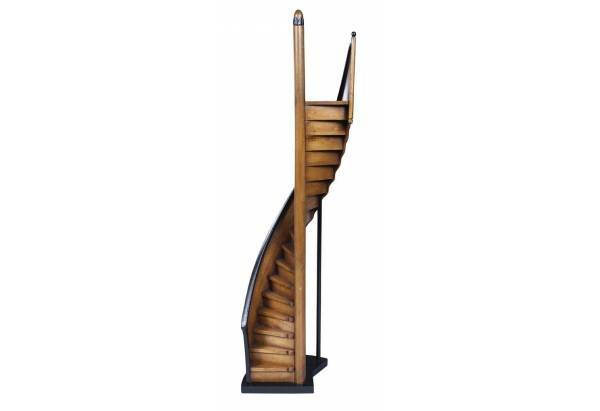 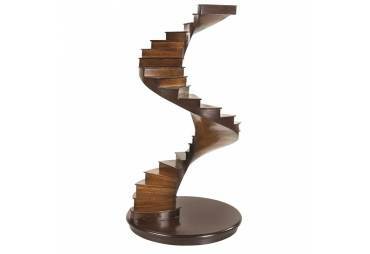 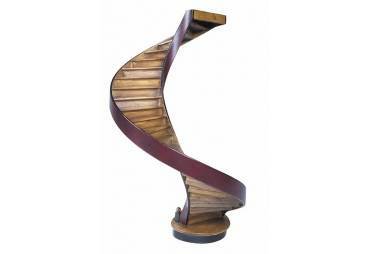 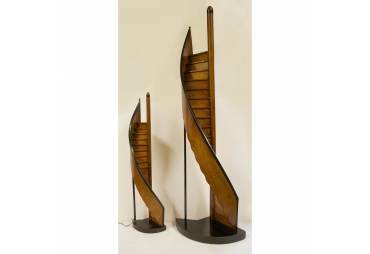 The lighthouse spiral stairs has a weighted base. 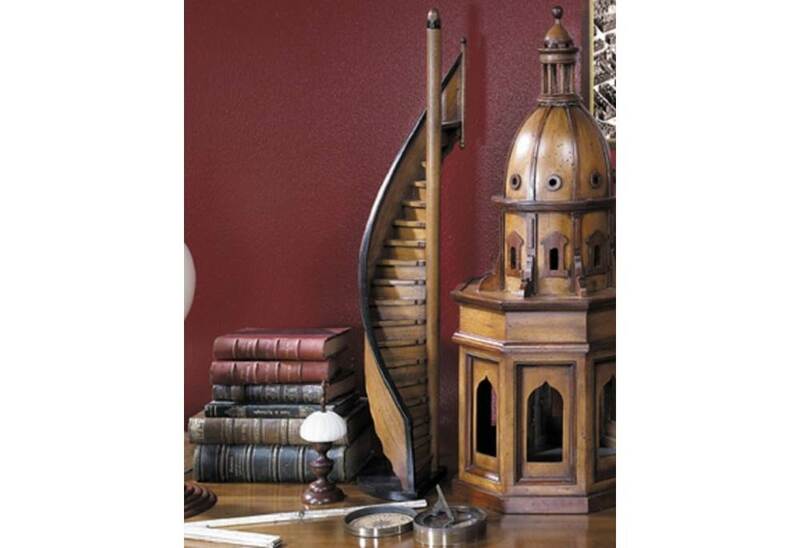 Architects over the centuries have made models to check details in 3D and help clients understand dimensional perspectives. 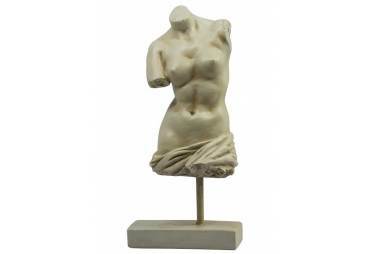 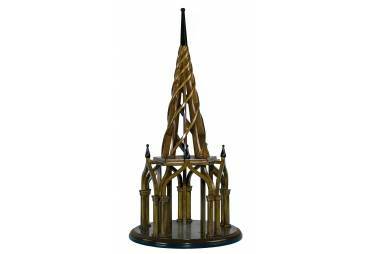 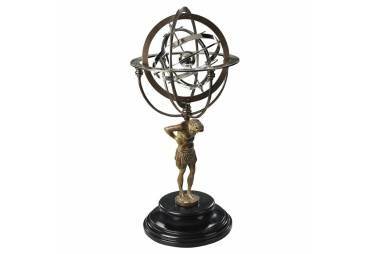 Many architects of renown also collected models, not only for their exquisite workmanship but also for their value as décor in homes and especially offices. 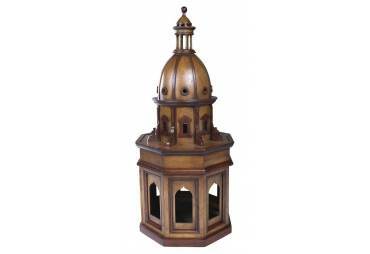 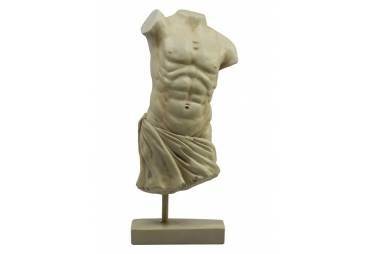 It is sure to have tremendous appeal as an architectural addition to your decor and to become a treasured family heirloom.